Located in our main office building, Apple Studio is a non-linear video editing system for broadcasting which includes Adobe Premiere, Apple Final Cut Pro, and Avid Media Composer. 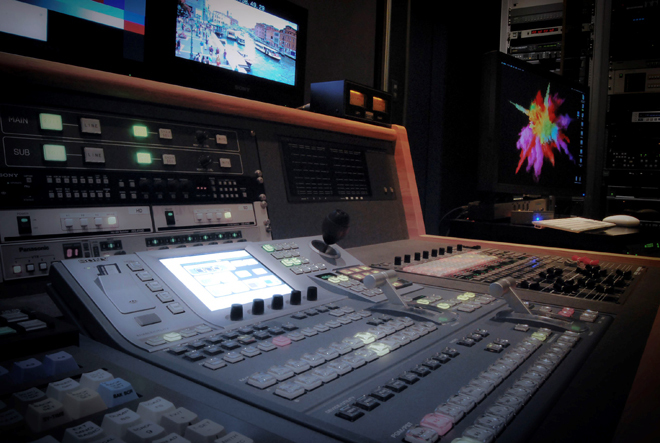 This editing room is capable of handling various formats and mastering of Japanese dubbed and subbed versions of international series and features. Copyright © AC CREATE Co., Ltd. All rights reserved.